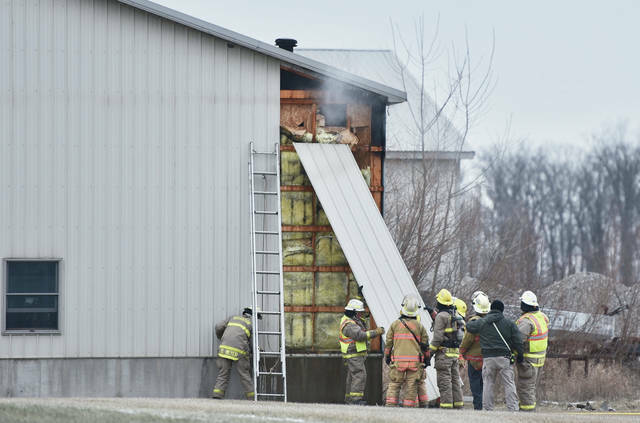 Firefighters remove siding from an outbuilding on the 900 block of Versailles Road just west of Russia around 4:40 p.m. Thursday, Jan. 31. The fire was inside the buildings walls and was quickly knocked down by firefighters. Firefighters from Russia, Versailles and Houston responded. The Shelby County Sheriff’s Office also responded.